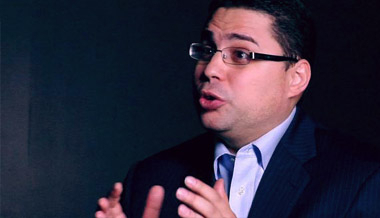 Gabriel Salguero is the President of the National Latino Evagelical Coalition. Rev’s. Gabriel and Jeanette Salguero, are the Senior Pastors of the multicultural Lamb’s Church in New York City. Their life’s work is bringing an ethical framework to public policy and empowering multicultural leadership. The Salguero’s have worked on issues of indigenous leadership development, faith and public policy, as well as racial and economic justice. Rev. Gabriel Salguero is the founder of P.O.G. international, a ministry focused on diversity leadership empowerment and training. He presently serves as the President of the National Latino Evangelical Coaltion. Salguero is an executive member of the Latino Leadership Circle. He is recognized as one of the emerging national leaders among Latino(a) faith leaders. Rev. Salguero was the moderator on the discussion on Philip Jenkins’ The Next Christendom at the Christian Churches Together’s gathering in Houston Texas in January 2004. He is currently a featured panelist for, The Washington Post’s OnFaith panel, an on-line panel of religious leaders and scholars. Rev. Salguero is often a guest columnist onEl Diario/La Prensa. Rev. Salguero has written multiple chapters on ethics and race, multicultural and Latino(a) leadership, borders and immigration reform. He also has had featured articles in Perspectivas: Occasional Papers, Apuntes, and PRISM magazine. Rev. Salguero has been featured onTelemundo’s Al Rojo Vivo piece on Latinos and ecology. He has numerous newspaper articles on Latinos and faith in the public sphere in the Trenton Times, and the Associated Press. The Rev’s. Salguero have convened regional forums on immigration in New York, New Jersey, and Orlando, Florida. Gabriel and Jeanette have two beautiful sons, Jon-Gabriel and Seth Alexi. National Latino Evangelical Coalition president Gabriel Salguero on the Nazareth manifesto and Kingdom principles.